This is a ten minute clip from the movie Bullitt, known mainly for this chase scene. This movie won some awards, like an Oscar for best film editing, and other sound and editing awards. Made in 1968, the movie, remembered for this chase scene between a 1968 Ford Mustang GT Fastback and a 1968 Dodge Charger R/T, has long been idolized by car enthusiasts. The 1998 movie Ronin is the most recent movie to have a chase scene comparable to that of Bullitt. 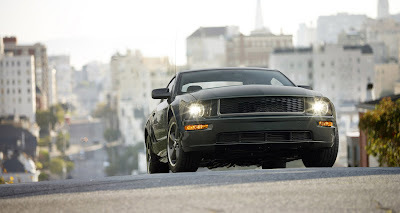 Ford has a 2008 Ford Mustang Bullitt model that takes many design and look cues from the GT model in the movie.